Forgive me for leading the morning roundup of celebrity gossip with a silly item about the unpleasant behavior of a dead man, but it’s Throwback Thursday and I’ve never mentioned Peter O’Toole in Dirt Bag before, so why the hell not? In a recent interview with BuzzFeed, Diane Kruger was asked to reveal the “meanest” person she’s ever worked with, and she had a name in no time. 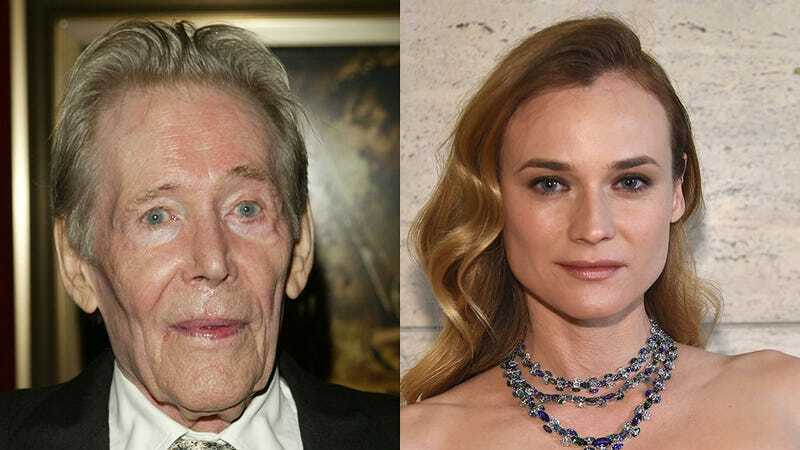 Kruger’s answer was Lawrence of Arabia star and famous drunk Peter O’Toole—who died in 2013. The two starred in 2004's Troy (which I completely forgot about), and Kruger couldn’t stand him. And yes, I realize that “feud” probably wasn’t the most appropriate word for this situation as only one party was actively engaged. But “Diane Kruger Is Feuding With a Dead Man” just felt right. More people should feud with mean old dead men.